Of course, it would still make a darling teacher gift …. 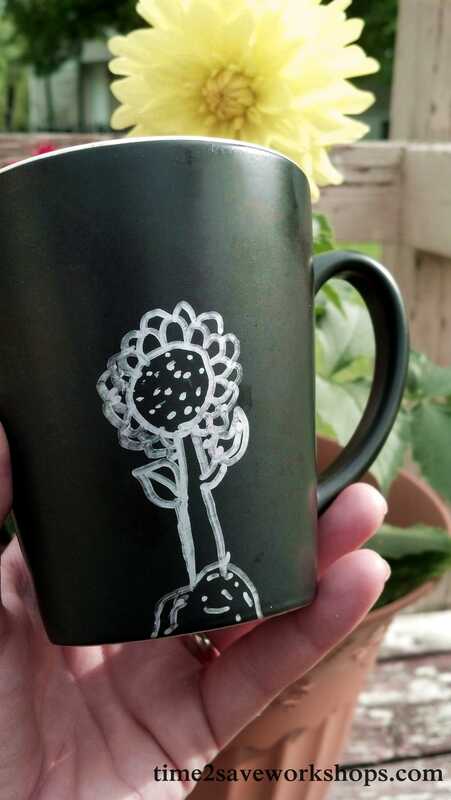 I found these great matte-finish black mugs at Rite-Aid for $1 this week, and I just knew these would be the PERFECT start for these teacher mugs! Doesn’t it remind you of a chalkboard?? 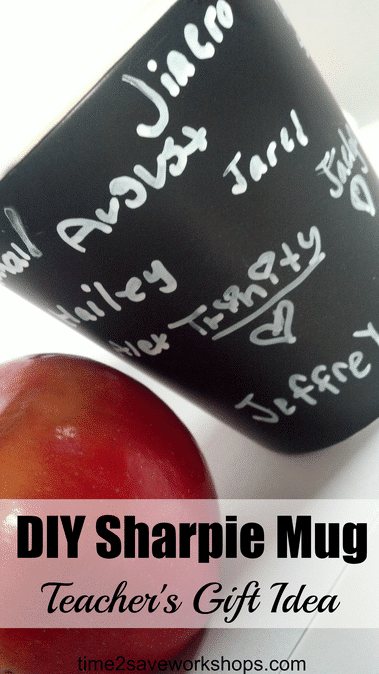 First of all – if you’ve read the comments on other DIY Sharpie Mug posts floating around the web – you’ll know that regular old Sharpies don’t stay put once the mug is washed. 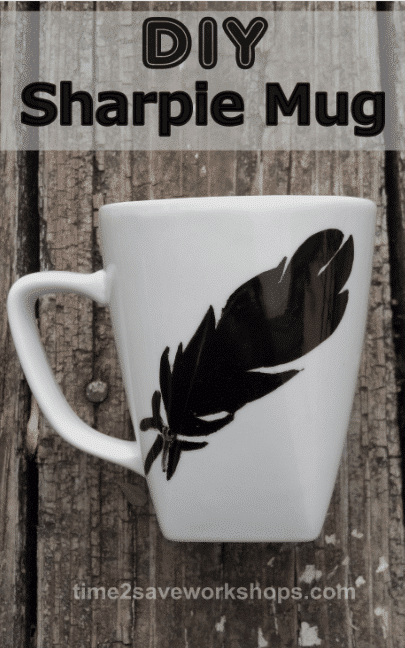 Believe me – I found this out the hard way after stenciling in a beautiful design on my mug, baking it for 30 minutes and then scrubbing the design off immediately afterwards. 🙁 Live and learn! But also – I can’t believe THIS 5-Pack is only $6.49! Let us know if you try it and what you put on yours! Also – let us know what kinds of Frugal Teacher Gift Ideas you’ve given/received in the past. 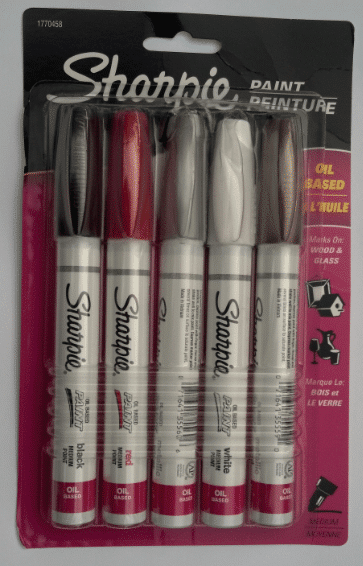 No baking with these paint markers? It dries and that’s it?